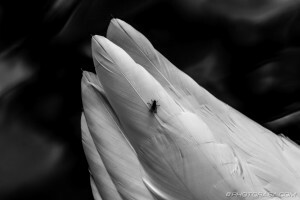 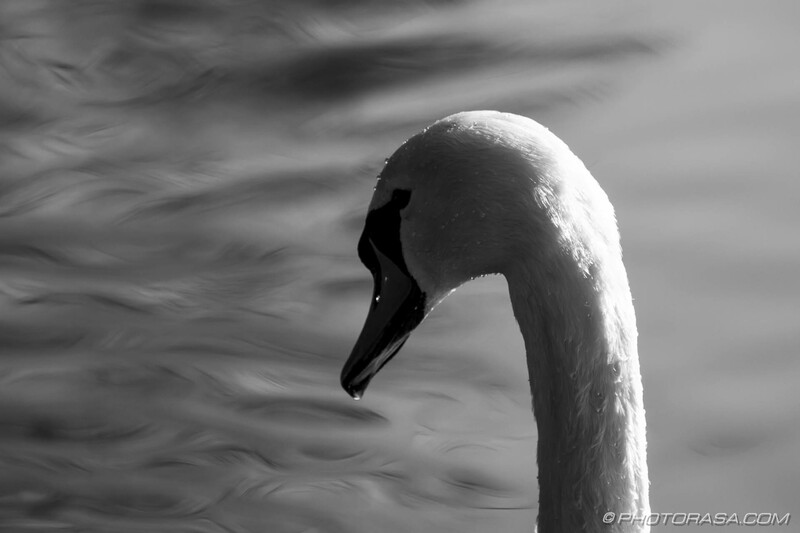 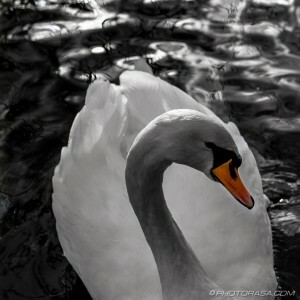 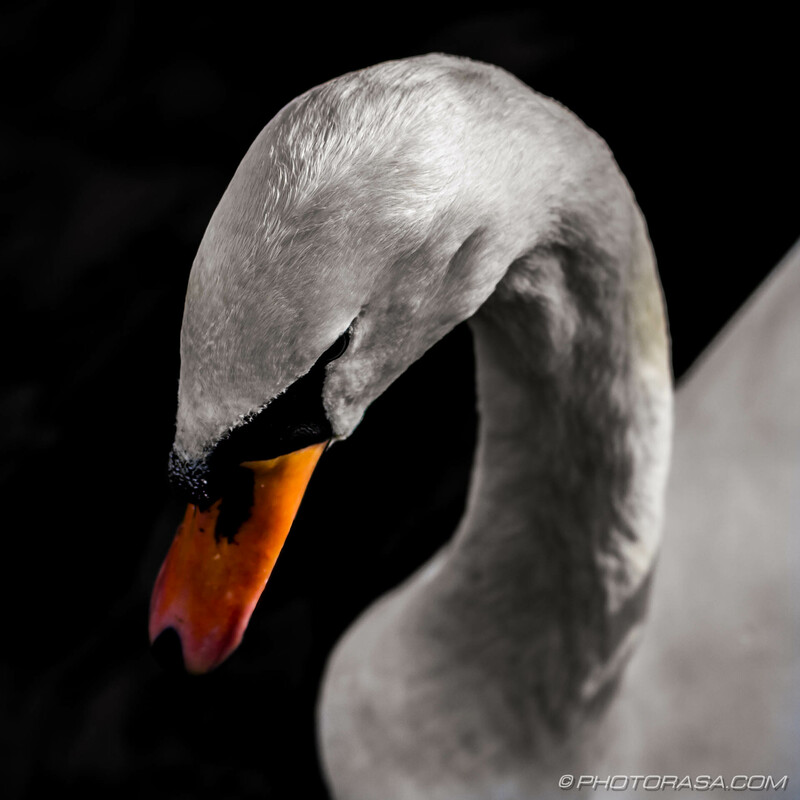 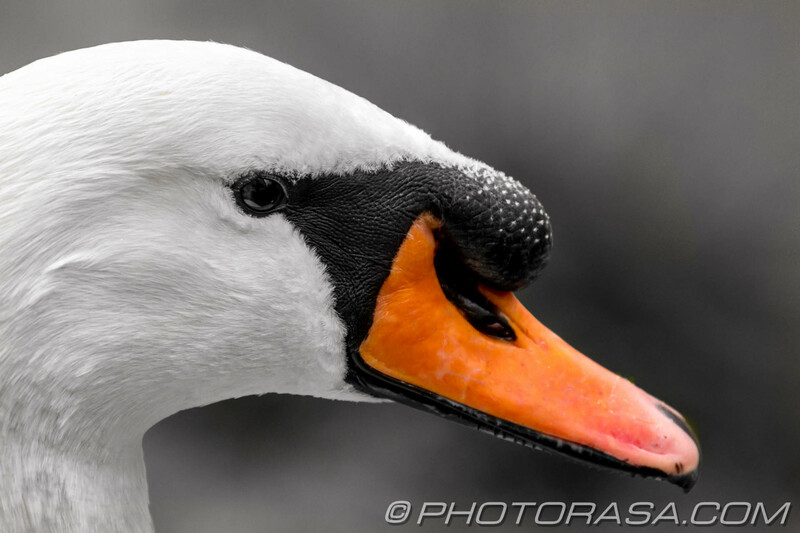 A selection of swan photographs, many of them adjusted and modified for artistic effect. Most of the pictures are in black and white save for the swans’ orange beaks – these have been left untouched. 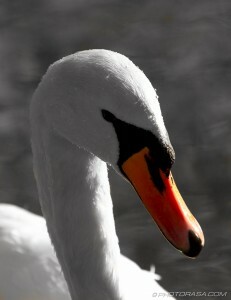 I think this gives the pictures, a purer, stronger, more effective look. 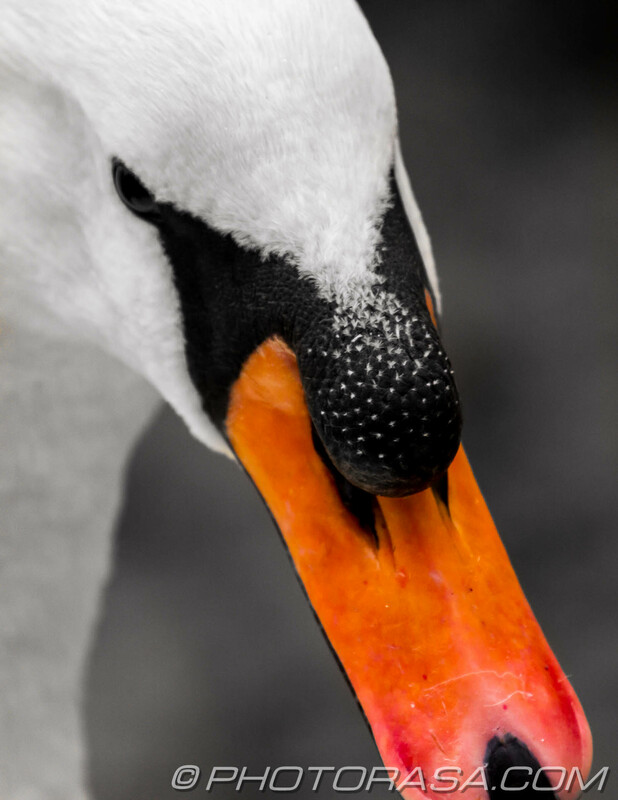 A picture of a swan on water is likely to have few distinctive colours except for the beak so why even show these colours? 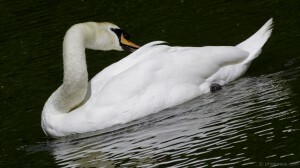 They only serve to distract the viewer’s attention from other more important aspects of the composition and dilute its overall effectiveness.